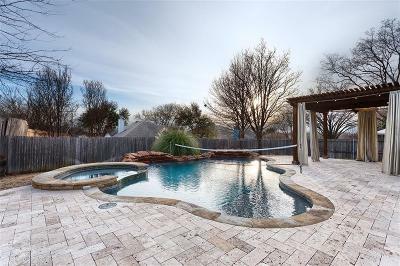 Adorable home with tons of recent upgrades and FABULOUS outdoor living with pool! New vinyl plank flooring and carpet in total house. New paint, lighting, new kitchen granite and backsplash and many fixtures make this home MOVE-IN READY! The backyard provides tons of space, great landscaping and a perfectly designed pool area for you to enjoy in the Texas summers! RARE find house with pool at this price point! Roof replaced in 2017. Generous living space, cozy fireplace and easy flow layout - COME see!